Thousands of ringtones on Audiko.net! 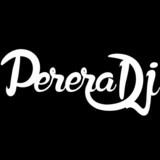 We propose to download a free Perera DJ ringtones for your iPhone or mobile. Select your favorite episode from your favorite hit - MC LIVINHO - Teus Desejos, MC Ruzika - Gangue Da Ciroc +LEGENDA, MC Kekel - Partiu Lançamento 2016, or any other track. Depending on a phone model, you can download your track piece both in the MP3 and m4a formats, supported by both mobile phones and iPhones. Just select a track, and choose free Perera DJ ringtones download option.